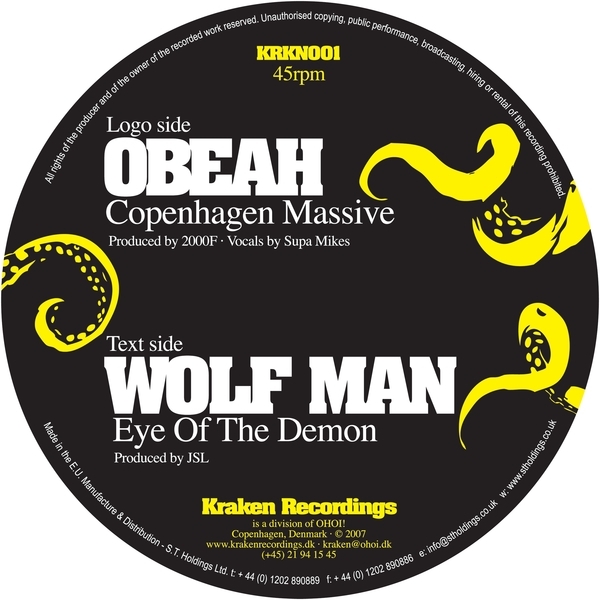 Yet another new dubstep imprint jumps into the fray, Denmark's Kraken label showcasing their scene's hottest two talents, Obeah and Wolfman coming correct with enough bass to challenge any of the UK's best. Obeah heads up with the Danish dubstep anthem 'Copenhagen Massive', riding a turbulent jumpup styled bassline to wicked effect, while Wolfman lays on the darkside vibes with a thick and moody halfstep roller. Big with Skream, Vex'd and Plastician.